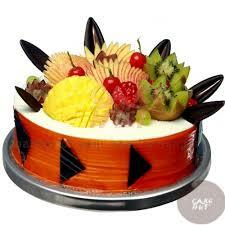 Fruit cake is a delight for everyone and it gives fantastic look with healthy choice of all fresh fruits. This cake is covered with layers of yummy whipped creams. It is highly decorated with different types of sweet and sour fruits such as apples, strawberries, sour cherries, kiwis and much more. 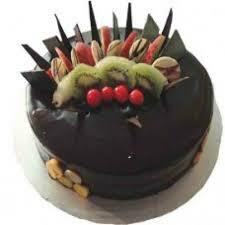 This cake can be the perfect item for a health conscious people. Gift it to your parents on their anniversary or present it to your child or surprise your friends with this healthy and delicious fruit cake. 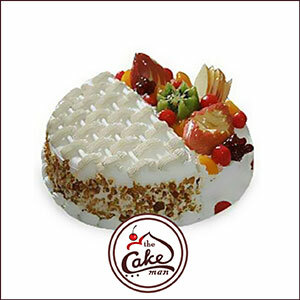 A Fresh Fruit Cake is an example of health walking hand in hand with taste. This blissful cake is loaded with all seasonal sweet and sour fruits, fresh & smooth butter cream and layers of moist cake with fruity toppings on it. 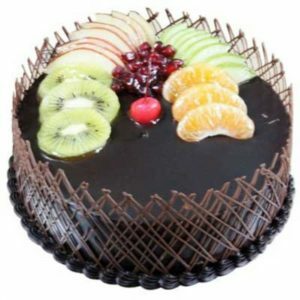 This cake is the best gift for fruit lovers and it’s perfect for every occasion, whether its an anniversary party or a birthday party. 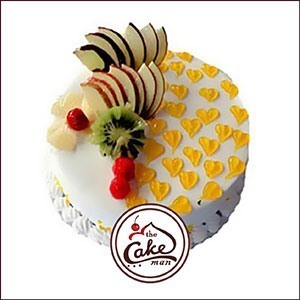 Present this gracefully prepared fruit cake to your loving friends or treat yourself with this lovely fresh fruit cake. 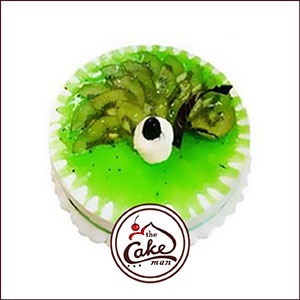 Kiwi Cake gives the essence of fresh kiwi fruit. Kiwi fruit is the most nutritious fruit and it provides plenty of health benefits, as it is filled with various vitamins. Kiwi cake carries the taste of kiwi fruits with the blend of lemon. This cake has huge amount of kiwi flavored cream. 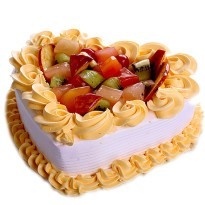 Big slices of kiwi fruit and white frosts are used to decorate the top of the cake. Send this tasty Kiwi Cake to your near and dear ones on their birthday or anniversary and bless them with good health and happiness.